As searchers become increasingly mobile, hyper-local searches are on the rise. Columnist Jason Decker believes that multi-location businesses stand to benefit the most. Local search can be time-consuming and complicated for a single location; local search marketing for franchises can be downright intimidating! What’s difficult for one local business is even more difficult for a company with multiple locations. One of the hottest topics in local search today is the rapidly increasing popularity of “near me” and “nearby” searches. Last May, Google noted that “near me” searches doubled in 2015. This is a trend that is not going away. Ranking on the first page of local search results is already a tough task. Currently, there are only three spots available in the local map pack. And in organic results, there’s the added challenge of outranking powerful directories. Now, try having five to 10 locations in the same region (all under a single brand) fighting for that limited space, and you have quite the challenge. Many multi-location marketers will tell you that having more than one location listed on the first page of Google is quite rare. “Near me” searches are becoming more and more popular because on-the-go searchers often want to find a business, store or office located as close as possible to their current location. This is especially true for searchers who are in a new place, where they may not be 100 percent familiar with their surroundings. Let’s use pizza delivery as an example. A hungry customer conducts a search for “[city] + pizza delivery,” finds a national pizza chain and calls the top-ranked store. Unfortunately, they learn that this particular store does not deliver to their location, and they must start their search all over again. Frustrating! There is a good chance this customer will take their business elsewhere. The fact is, Google may be able to determine a searcher’s exact location and provide results to the closest business. But for a general “[city] + pizza delivery” search, it’s also quite possible that Google will surface the results it believes are most relevant to the city name, without regard to the searcher’s exact location. How does “near me” come into play? If that same customer were to search for “pizza delivery near me,” they might have found a more relevant (closer) store at the top of the search results. While “near me” does not completely alleviate the challenge mentioned above, it is worth noting that businesses with multiple locations in a city will likely benefit from “near me” searches, as they have a greater chance of ranking for nearby customers than with a more general search query. When a “near me” search is conducted, Google’s algorithm increases the importance of distance from the searcher’s location. 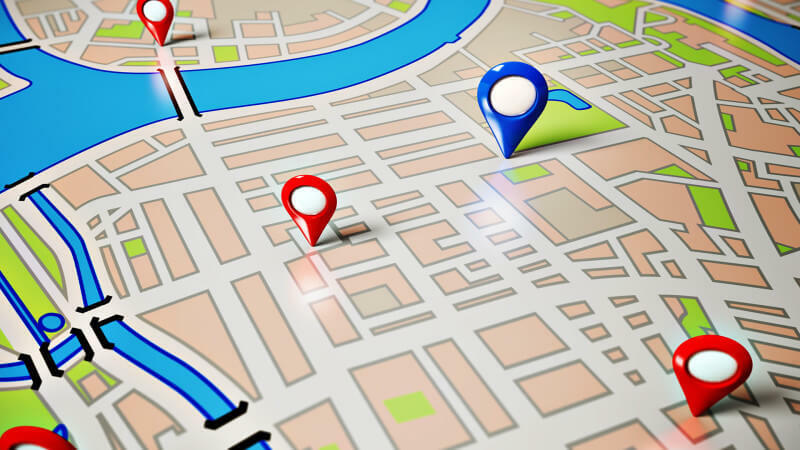 It is much debated if marketers can influence “near me” search results, but here are a few solid local search marketing strategies that might help. Make sure that the business name, address and phone number (NAP) are frequently and prominently displayed on your website in an easy-to-index format. Ideally, you should have a separate page for each location, but the addresses of all your locations should at least appear somewhere on your site. Mark up your NAP information with structured data that relates to the business. Google provides instructions on how to do this here. Google My Business should be properly set up and optimized. Each of your locations should have its own Google My Business listing. Ensure that the business name, address and phone number of each location match what you have on your website. Get as many positive reviews as you can for each location, especially on Google. Reviews on other sites can help, too, but Google reviews are likely to have the highest impact on local map pack rankings. Optimizing for “near me” and “nearby” search queries is a great opportunity for all local marketers, but especially for franchise marketers with multiple locations in a single city. While local search is often difficult, the “near me” phenomenon is a big win, and I urge all multi-location businesses to capitalize on this growing search opportunity.